Usually sugar cookies are dry, hard, and the frosting is nothing to get excited about. 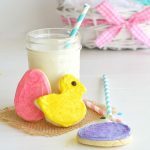 These soft sugar cookies however are soft, moist, and the frosting is incredible both in taste and texture (creamy, soft, yet dry to the touch). 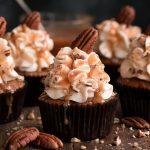 One time I took them to work and one of my coworkers remarked, “They look professional but taste homemade!” Meaning they not only look good but actually taste good! 🙂 And boy they do! While growing up my mom would make these for almost every holiday — Valentine’s Day, St. Patrick’s Day, Easter, Halloween, and Christmas. She would do the part of making the dough and rolling it out (she always got the dough so evenly thick) and then my siblings and I would help use the cookie cutters and later add the sprinkles. Since my mom has made sugar cookies so much she is kinda a pro and has lots of tricks up her sleeve that I want to share with you in case you don’t already do them. 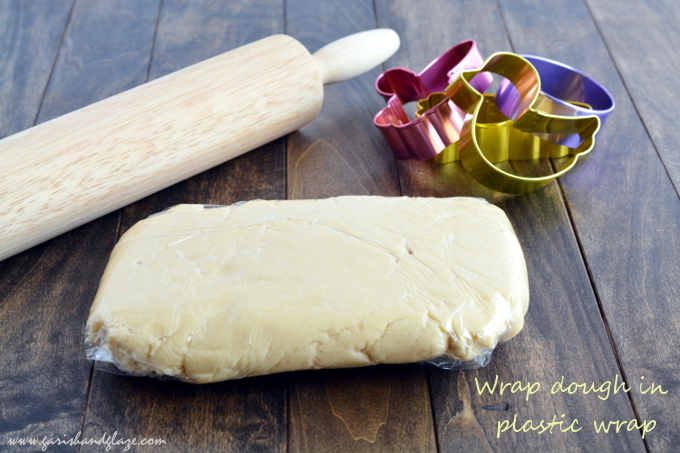 Tip 1: Wrap the dough in plastic wrap to refrigerate. 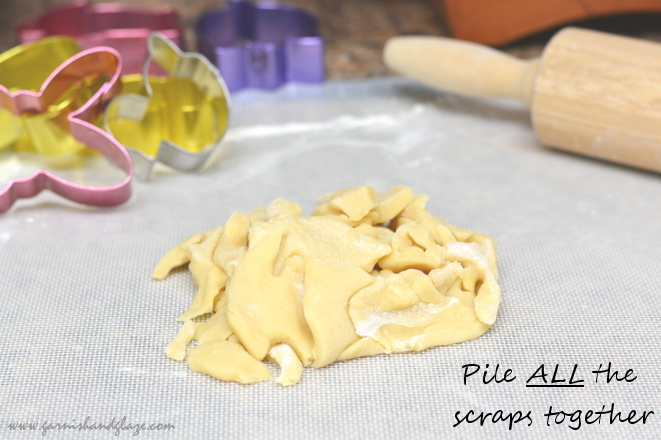 Tip 2: Roll out the scraps from each chunk of dough together. 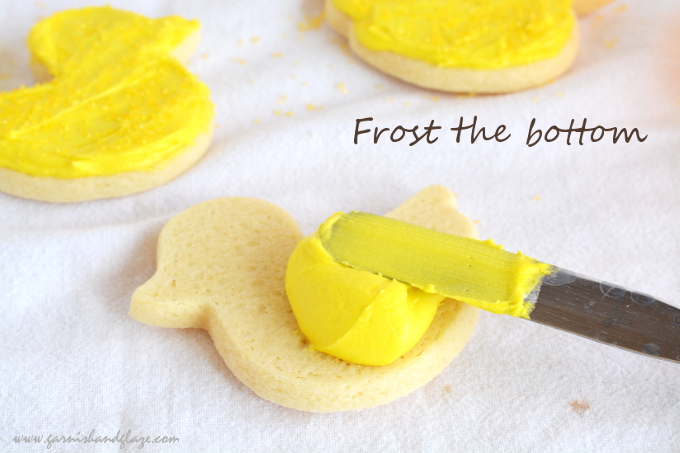 Tip 3: Frost the bottom of the cookie. 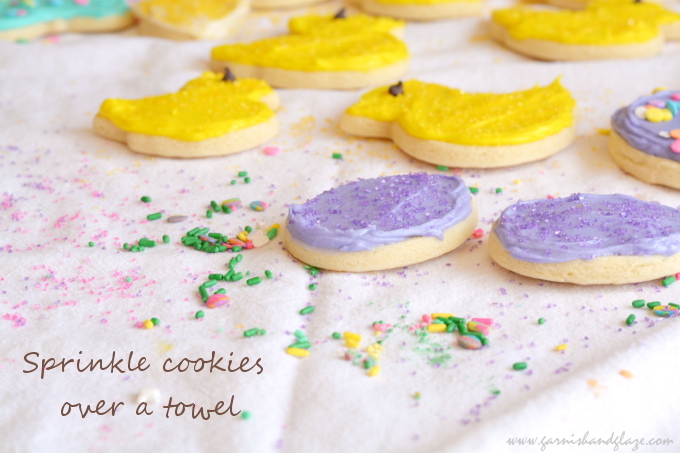 Tip 4: Add the sprinkles over a towel for easy clean-up. 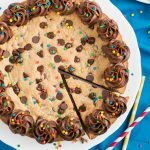 No matter how hard you try to aim for just the cookie sprinkles will get everywhere, especially if kids are involved. 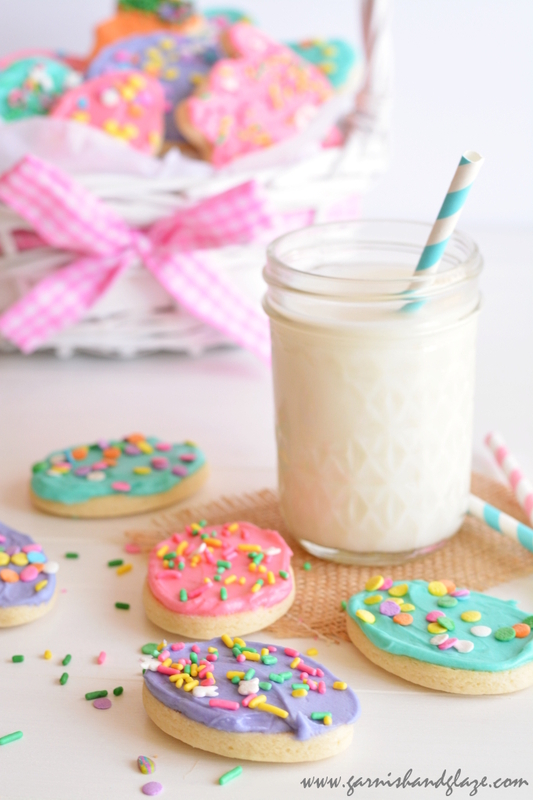 If you sprinkle over a towel the sprinkles don’t roll off the table and when all the cookies are put away you just carefully gather up the towel and give it a shake over the trash. Easy peasy clean up! Tip 5: Be creative and have fun! 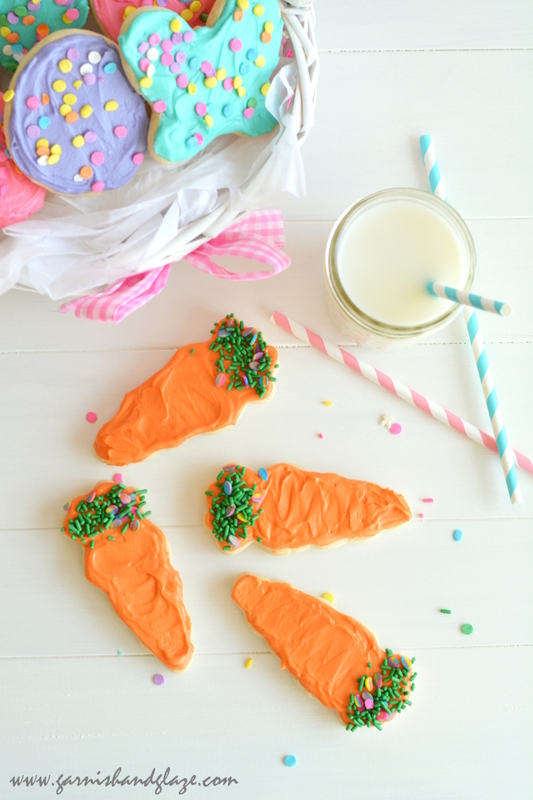 As a kid I don’t think we had a carrot cookie cutter but I was given this with a bunch of other Easter themed cutters and I just love how these little carrots turned out! And below you’ll see a little chick/duck (I don’t really know) with a chocolate chip eye. Yes. Chocolate on these cookies actually tastes REALLY good. So feel free to add chocolate where ever possible. Get baking and sprinkle away! The amount of cookies made will depend on the shape and size of the cookie cutters. In a standing mixer, cream butter and sugar. Beat in the eggs, sour cream, and vanilla. Add 1 cup flour with salt and soda, mix, and continue to mix and add 1 cup flour at a time. Cut two large pieces of plastic wrap, divide dough in two and empty dough onto each piece, shape into disks, wrap up, and place in the fridge for at least 1 hour. Empty dough onto a lightly floured surface and roll out to 1/3 inch thick. Cut dough with cookie cutters and place on an ungreased cookie sheet (about 12/sheet). Bake for 8-10 minutes. Leave cookies on pan for about 5 minutes and then remove and let cool on wire rack or towel. Frost and sprinkle when cool. With an electric mixer, cream butter. Add half the sugar a little at a time (so you don't get a sugar cloud in your face) and blend well. Beat in vanilla and half the cream. Mix in the remaining sugar and then the remaining cream as needed to get desired consistency. Add food coloring (if using multiple colors, first divide icing into separate bowls and then add coloring). 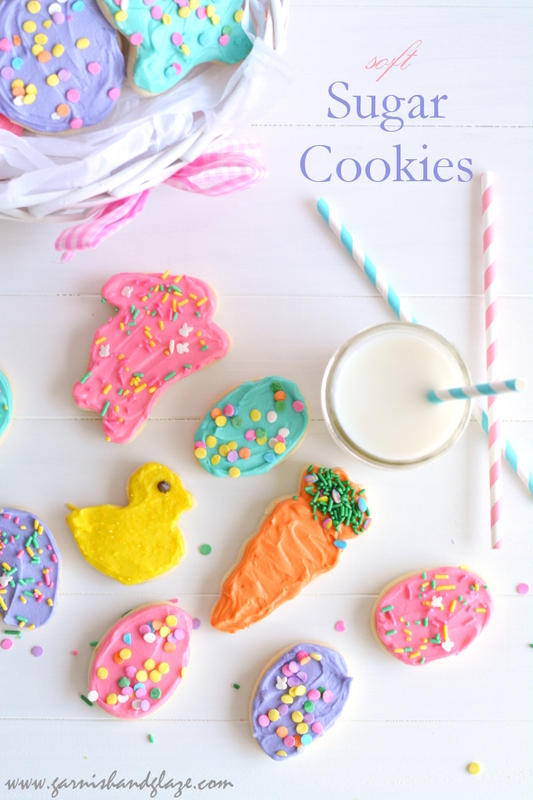 These cookies are so fun! 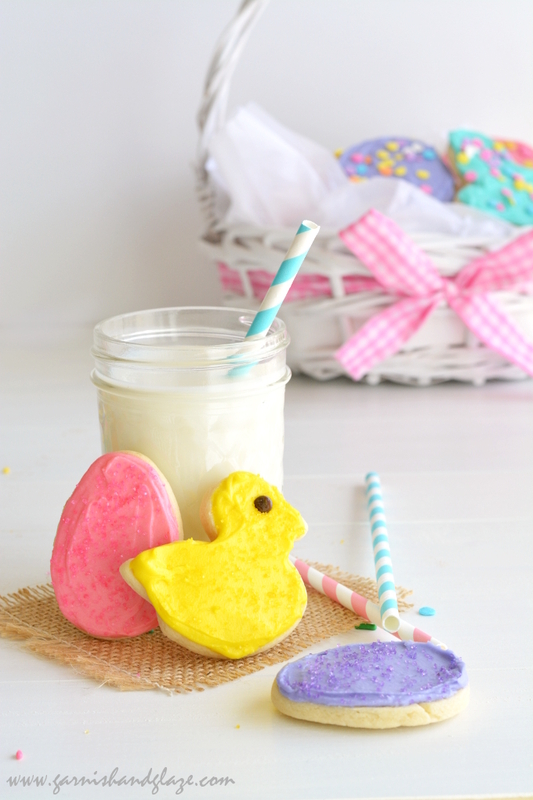 I’m definitely going to make some for Easter! Your pictures are always so amazing! Thanks Paige! Your little boy will love making these with you. Well, at least eating them! 🙂 Enjoy! Thank you for the invitation CJ! I will start submitting my photos! Thanks for letting me know about foodfotogallery.com. Make sure they don’t steal your photos for their own use. There is a lot of this happening through sites like this. Read the fine print and keep your copyright. Thanks for looking out for me Margo! 🙂 It’s sad that this happens so often. 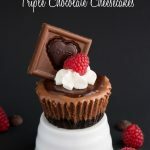 These look so good Melanie! 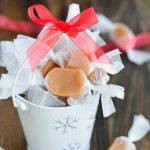 I have never thought to frost the bottom, great tip!